Are you looking for a way to make your store data more secure from unauthorized login and hackers attack? Check our Improved admin security module for Magento. Our extension will allow you to use two-factor authentication based on the Google Authenticator application. Verification security code except username and password will be required every admin login attempt. So even if the attackers will get your admin username and password, they will not be able to access your store admin unless they have a security code provided by Google Authenticator. The unique code expires in a short amount of time for security purposes. Extension configuration is really easy. All you need to do is to go to admin user management interface and scan QR code generated for you. Then you should insert verification key generated on your mobile phone. That's it! Now your admin user account is protected against unauthorized logins. 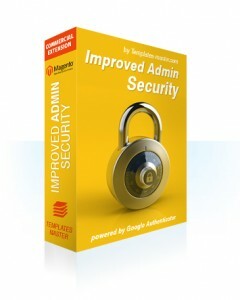 Please find more information on the Magento Improved admin security page. This entry was posted in Magento extensions, News on December 19, 2012 by TemplatesMaster. Site navigation is most crucial part of any e-commerce site. Small mistake or using of bad practices in navigation can greatly damage your business. With proper navigation visitors can be driven to the right products and categories in order to increase your store sales. 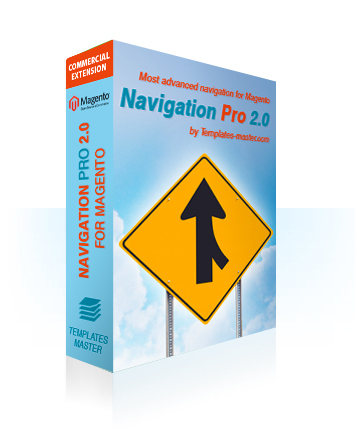 Navigation Pro allows you to get full control over your store navigation and quickly change look and structure of it. Now every navigation feature and setting is available directly in your store admin so you don’t need anymore hire developer to modify your custom navigation. Our extension allows you build any navigation tree your need just within several minutes. Also you could add multiply navigation blocks at same time in order to make navigation easier. Please find more information on the Magento Navigation Pro page. This entry was posted in Magento extensions, News on October 4, 2012 by TemplatesMaster. 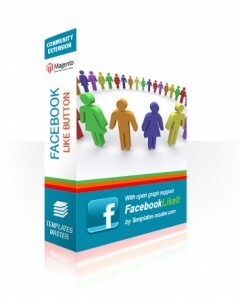 Facebook Like button 2.0 is now available! Please find more information on the Facebook Like Button Extension page. This entry was posted in Magento extensions, News on September 18, 2012 by TemplatesMaster. One of the greatest changes in ecommerce recently is rapid growth of social ecommerce. If you run an online store then you already know that most part of your customers already active on social networks. Right now Facebook have more than 800 million active users and average user has 130 friends. Don't miss this huge opportunity to build tight relationships with your customers and get new customers via social networks. Your satisfied customers are your best advertisers. With Social Suite your customers will be able to share their wishlist, orders and reviews, like your products and categories and post comments on your products pages. That will create create a social buzz around your store and easily attract new customers and increase number of social signals to search engines. Using Facebook or Google accounts in order to login will make registration process easy and fast. 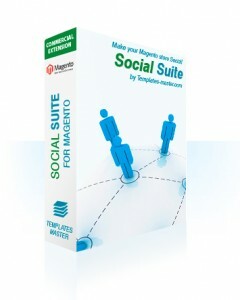 Please find more information on the Magento Social Suite page. 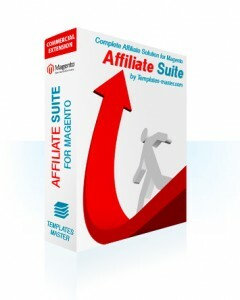 This entry was posted in Magento extensions, News on December 30, 2011 by TemplatesMaster. 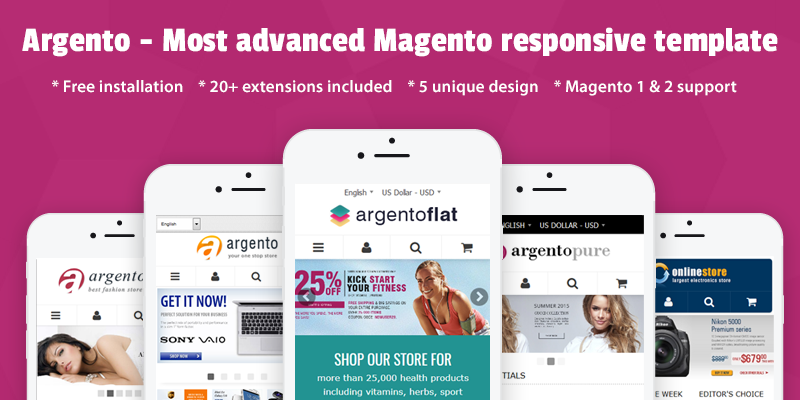 Are you looking for an effective way to increase your sales and drive high quality traffic to your Magento store? There is no better way than affiliate marketing in such case. Since you pay when a sale is made, your advertising budget is being used more efficiently compared to any other advertising method. By investing a few dollars you can easily increase the number of visitors to your Web site and significantly increase sales. This entry was posted in Magento extensions, News on September 19, 2011 by TemplatesMaster.